We want to know about your sightings of hedgehogs – dead or hopefully alive. Any other information – was it visiting your garden or or workplace or school grounds, did you see it on a hedge side or woodland area? Was it still, hibernating, feeding or on the move? The more information collected about our hedgehogs, the greater the chance of discovering how we can help them and reverse the decline. Where are hedgehogs seen? Which habitats do they prefer? When do they hibernate? How can we help them survive and grow in numbers? 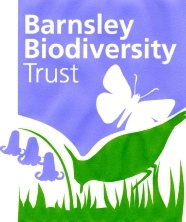 “Our Hogwatch’ is a local project set up by Penistone Friends of the Earth and Barnsley Biodiversity Trust. It asks everyone who has seen a hedgehog to send in a record of where and when they saw one. Volunteers are being asked to become hogwatchers so that we can find out where they are and indeed where they are not present. The ‘Our Hogwatch’ project mainly covers the area of Barnsley west of the M1 - the wards of Penistone East, Penistone West, and Dodworth..
Go to the Our Hogwatch website for information and to find out how to join in as a hogwatcher or to tell us about your sightings. Have you seen hedgehogs this year? Have hedgehogs regularly visited your garden?